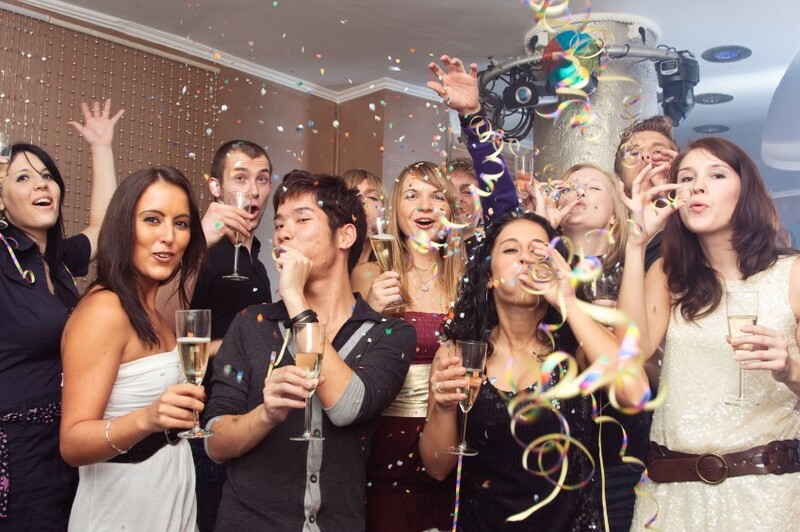 New Year’s Eve 2015 Bumper Guide: Scrimp, Save or Splash? The biggest night of the year is fast approaching – and be it with an all-night rave, relaxed dinner party or cosy cottage get-away – you’ll want to mark the beginning of a fresh New Year with an evening filled with fun (and lots of fizz). Get scrolling for our pick of NYE activities worthy of Auld Lang Syne himself…. Notoriously the most expensive night of the year, NYE can sometimes leave our already Christmas deflated bank balances looking sadder than ever. But doing NYE on a budget doesn’t have to mean staying in with a questionable 6 day old turkey curry. Invite close friends and family over, tell them each to bring their signature dish and bring in the New Year chowing down on copious amounts of homemade cuisine. Celebrate the New Year in style in a wonderful home-from-home. If you fancy going all out this New Years, why not get a group of friends together and rent yourselves a fancy mansion out in the country. There are plenty available to rent throughout the festive period – many of which have pools, games rooms and large kitchen diners perfect for a New Year’s bash. ‘Bedlam’- an aptly named party house situated in Kent – is an unconventional newly built property complete with ambient lighting, heated floors and surround sound (all controlled via 7 iPads). The indoor pool, games room and grand piano make this an impeccable setting for a NYE blowout you’ll remember the whole year long. It costs £4,995 for a four-night stay (from 29th December) – Pricey, yes. But you only get one NYE per year, right?! The City – The Cannon Street (next door to St Paul’s) and Monument areas of the city are a good bet to head to if you want to get close to the fireworks but don’t actually have a ticket. Be sure to visit the TFL website before setting off though, as tube stations may be especially busy or even closed to try and manage the huge numbers of people. Think about getting there as early as possible to bag your spot. 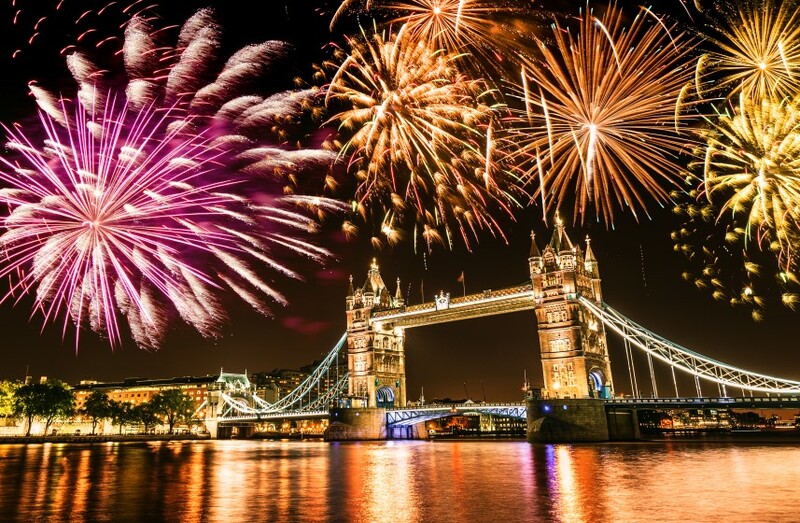 Bridges – Vauxhall Bridge, Tower Bridge, Southwark Bridge and Millennium Bridge are all outside the ticketed area and offer a decent vantage point to see the fireworks and fabulous river views. Again these are likely to prove popular so venture out early to avoid disappointment. North London – If you want something a bit less central then the hills around London act as great alternatives. Both Hampstead Heath and Primrose Hill are great options or if you don’t mind being further out, Alexandra Palace. South London – Head to Greenwich Park for great views south of the river. Save: Unfortunately the tickets to the Mayors Firework display are all sold out (there will be a sale of returned tickets on Dec 3rd though so keep your eyes peeled) however, we’ve come up with a – dare we say it – better alternative. Why not combine a view of the firework display with cocktails? 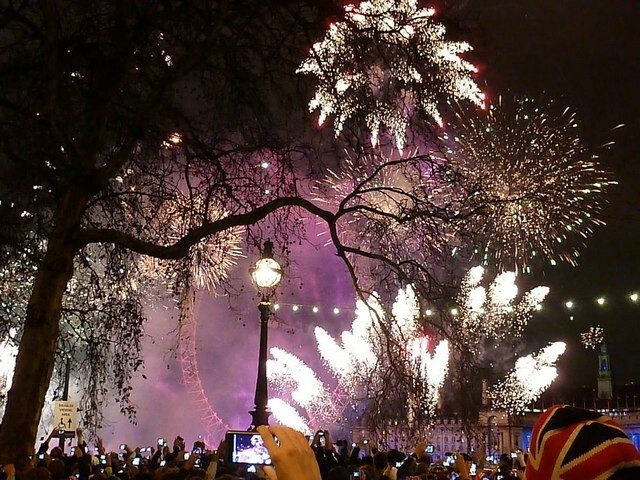 Vista Bar at The Trafalgar is one of the best places to see London’s New Year’s celebrations in central London. Bring in the New Year perched – cocktail in hand – admiring the best views of London. Obviously due to projected high demand you will need to book ahead, but they’re opening up their rooftop bar especially to bring in the New Year, so book in good time and you’re unlikely to miss out. Splash: If ‘budget’ is a dirty word and you’re looking for the most glamourous way possible to view the London firework extravaganza in style, then Galvin at Windows in the London Hilton, Park Lane is the place to be. What better way to go big this NYE than an all-night celebration at one of London’s hottest night clubs? Grab your tickets to one of the capital’s best events and let the beat drop as you welcome in 2016. 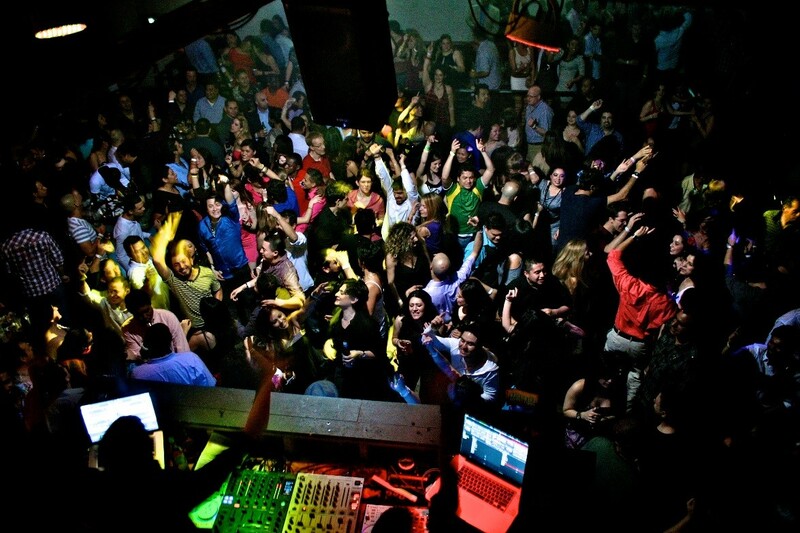 Scrimp: East London’s Shoreditch is infamous for its contemporary club nights, masterful DJ’s and eclectic crowd. Get yourself down to Just Juice NYE in the Jungle at The Queen of Hoxton for a genre bending mashup of Electro, Funk & Soul, Hip Hop/RnB and House Music with rainforest jungle surroundings (think vines and tropical animals). Early bird tickets start from just £15 so get them quick before they go! Save: Celebrate New Year’s Eve in serious style at London’s luxe NYE Party at Liberty by Chinawhite. With the capitals most masterful DJ’s dropping Commercial/Pop, Hip Hop/RnB and house beats until 4am, we can’t think of a better place to kick off 2016. Tickets from £40 – Ladies, £50 – Gentleman. Splash: Dress to impress and prepare to be transported 3,500 miles across the pond as you celebrate NYE New York style at New York, New York NYE Ball – Battersea Evolution. Tickets start at £175 but not to worry, you sure do get what you pay for; incredible food, mesmerizing live entertainment and an electric atmosphere are just a few of the things you can expect at this American themed soiree. Alongside your four course dinner and unlimited house drinks you’ll get to experience Manhattan style street food and canapés, dodgems, casino style games and a dazzling Broadway show. Sold. Scrimp: The perfect winter attraction for kids and adults alike – the Swarovski Ice Rink at the natural history museum guarantees a magical opening to 2016. 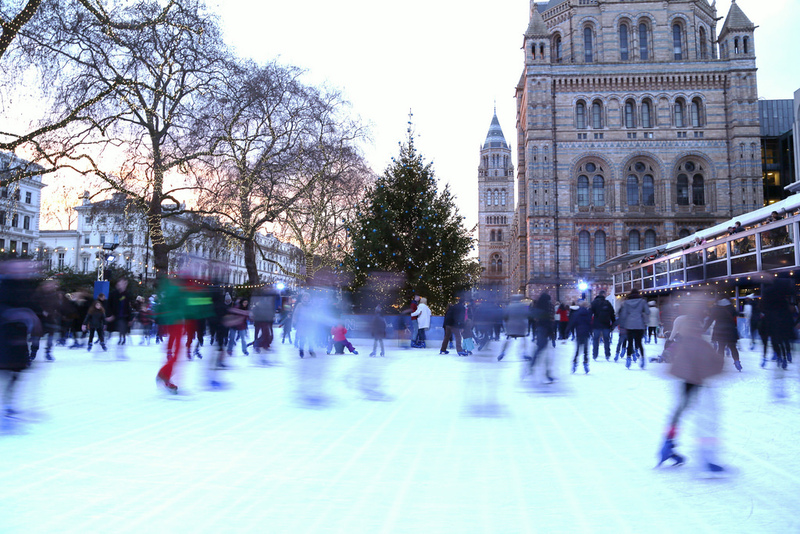 Set against the backdrop of one of London’s greatest cultural landmarks, and with a stylish new café bar complete with coffee, hot chocolate and mulled wine to warm you up after a good session, you better get your skates on – tickets (from £12.65) are selling fast! Splash: Always fancied a cruise? Well why not toast to 2016 while on the open waters at the Golden Sunrise Boat Party. With a champagne reception followed by a tasty meal and free drinks all night, you can expect a night to remember (or not… as the case may be). The on board DJ and disco is sure to keep you dancing all night long – in fact you’ll only break to bring in the new year on the back deck watching the Capital’s infamous firework display with the best seats in town.